There is no better way to discover a new city than on two wheels. Clean, efficient, healthy and fun, cycling is one of the few sports that is suitable for all ages. The fluid pedaling motion on a bicycle is less damaging on your joints than walking. The bicycle is one of the oldest forms of transport and will surely be with us till the end of time, with maybe a few changes, but the concept of two wheels and a seat will never change. The ideal city for bike touring, Krakow is compact and flat. All the sites of Krakow are reachable by bike, and with Krakow's Old Town restricted to automobile traffic, it's a safe way of exploring without having to worry about a driver's outlook on sharing the road with cyclists. 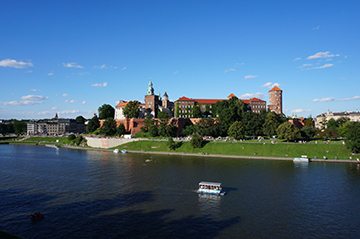 Enjoy being seen riding along Europe's largest medieval market square, cruise along the Planty gardens following the route of the old city walls, or follow the bike path along the Vistula River. Whether you know what you're looking for or just want to see where the mysteries of Krakow will take you, you'll get there faster on a bike! We specialize in bikes! 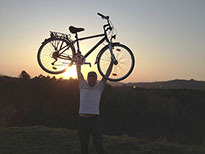 After 12 years of operation, Cruising Krakow has become an established and trusted name in bicycle rental and bicycle tours. With a wide range of different bikes we have something that will suit any size, age or want; whether it be to cruise in style (which we specialize in), ride single track in the Wolski forest, or have the wind blow against your face as you race along the river, we have something for YOU. 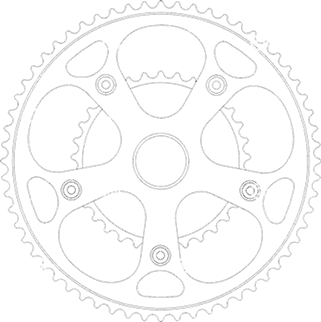 Our bikes are modern and regularly maintained by our on-site mechanic so you can trust that a bike from us will get you there safe. The personal transporter of the 21st century is a fun and quick way of exploring a new city. With our X2 SEGWAYS you can ride over any and all roads. You don’t need to exert yourself just relax and enjoy the sites while cruising along with us. Don’t be afraid to try the Segway. After our five minute training session in our closed courtyard you will feel at ease rolling through town with us! If you don’t, you get a full refund.